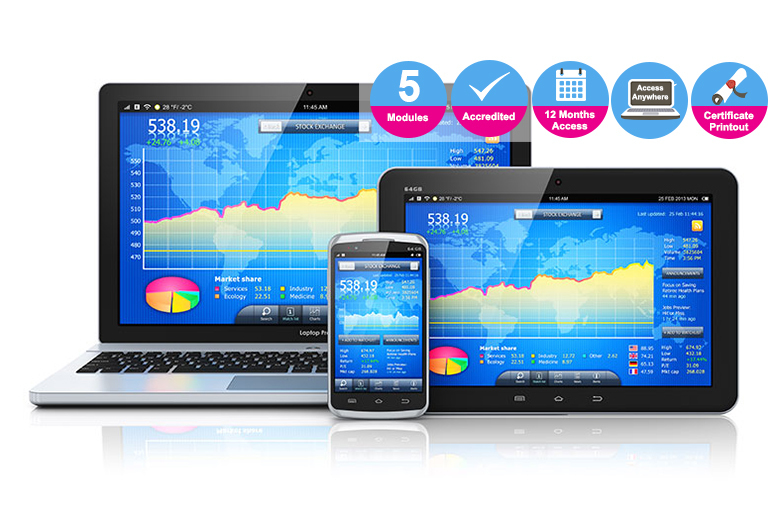 Get financially savvy with an online financial trading course! Accredited by the International Council of Online Educational Standards (ICOES). Comprised of five detailed and insightful modules. Learn how you can make your money go further through low-risk investments! You’ll have 12 months to access the online course materials. * Get a certificate when you finish the course!